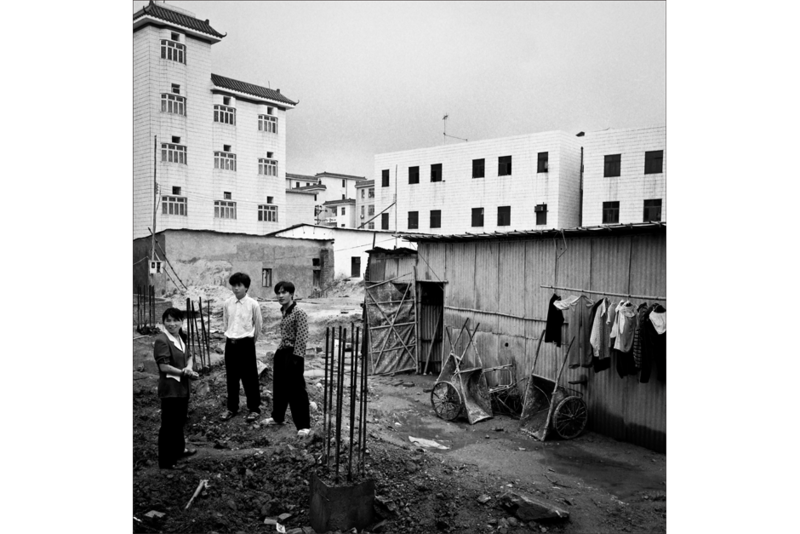 Communal home construction for workers outside a factory in Kengzi, Guangdong province, 1999. 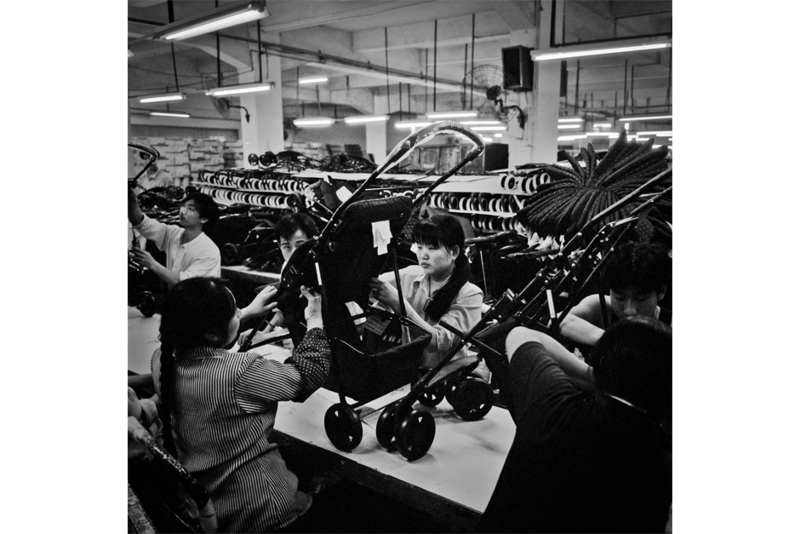 Stroller assembly on the factory floor. 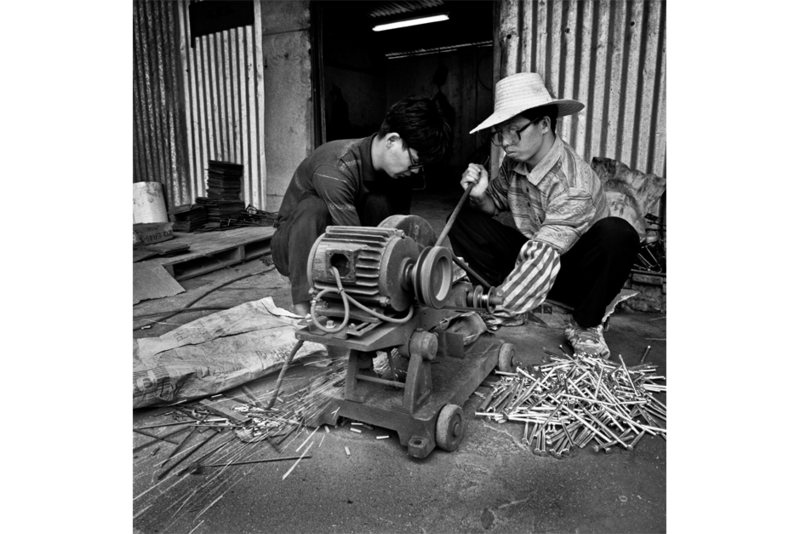 A worker pauses next to a metal punch machine that fabricates parts to attach to the carriage frames. 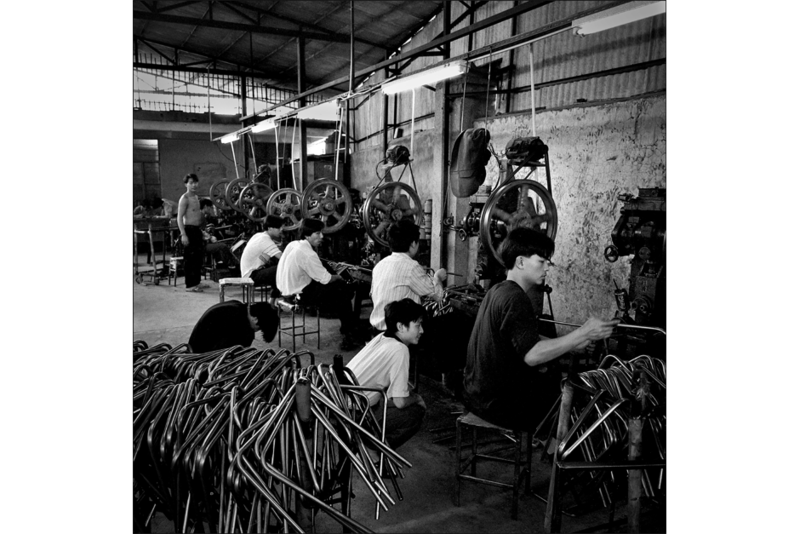 Assembling carriage wheels manually, spoke by spoke. Grinding metal tubing pieces manually to factory specifications. Adjusting a plastic parts mold with the assistance of a flashlight. Drying painted metal frame pieces. 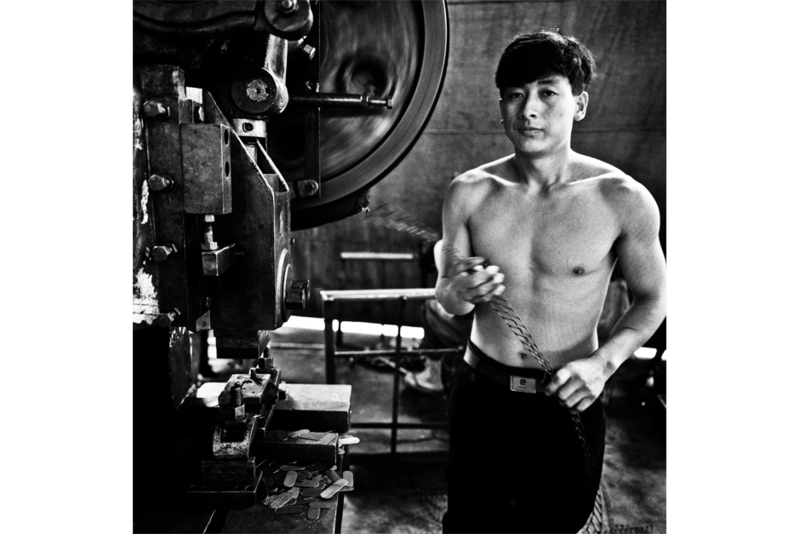 The temperature in the factory was often very hot, and men often worked bare-chested. 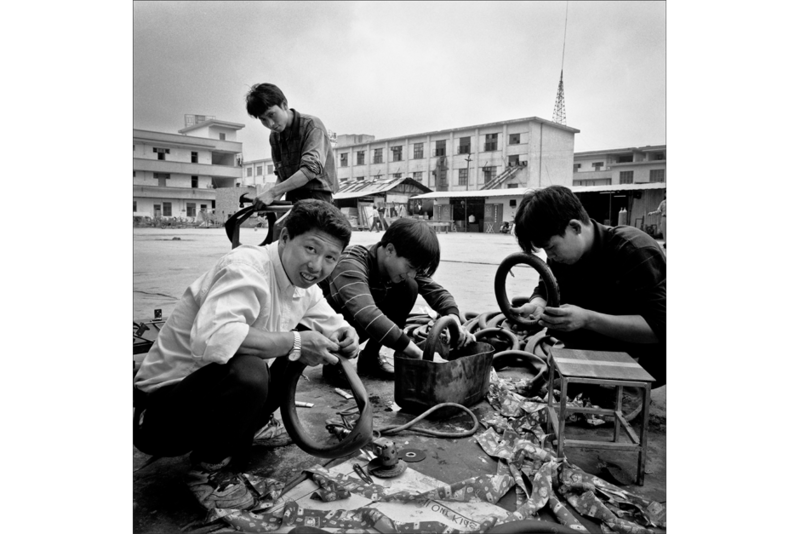 Assembling one of the of stroller types where the wheels were attached manually. Lunch break at the factory was half an hour. Workers would bring their own bowl and chopsticks. 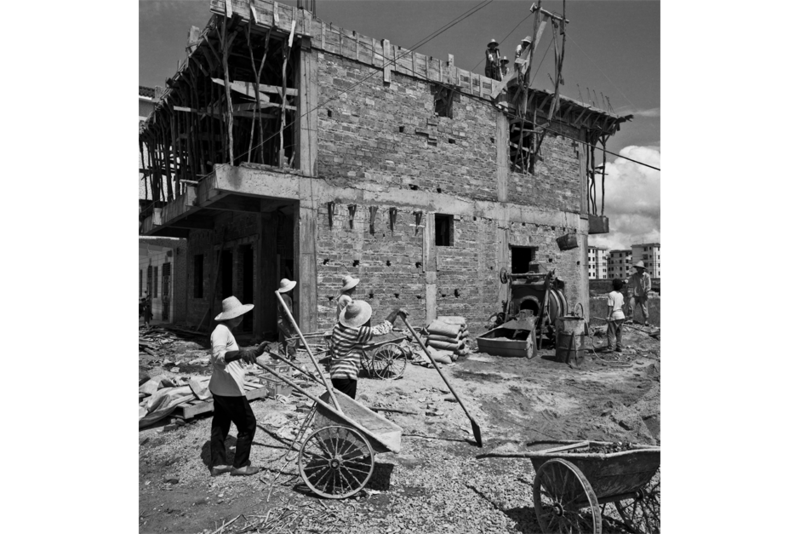 Corrugated tin houses, foreground, were being replaced by new construction of factory buildings and residential complexes. Leisure time on the factory grounds. A family’s dog and garden. Knee-deep in a vat of fermented cabbage. 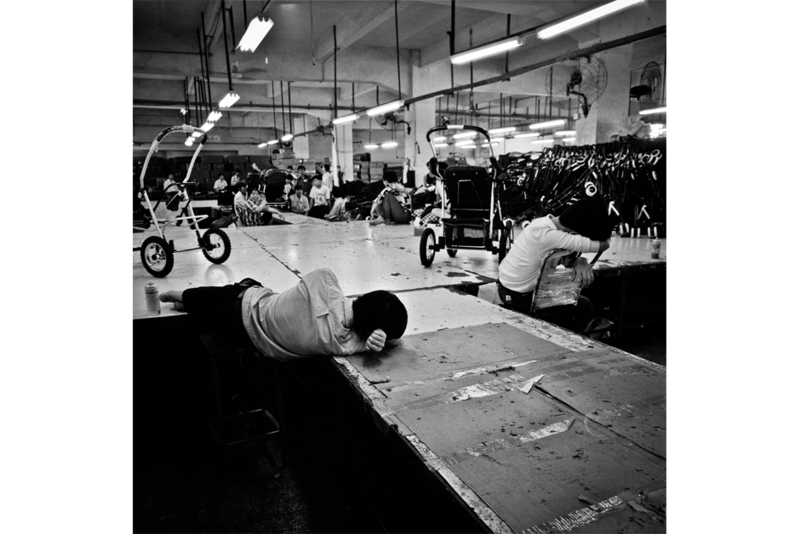 Near the end of a shift, some workers rested on the factory floor. 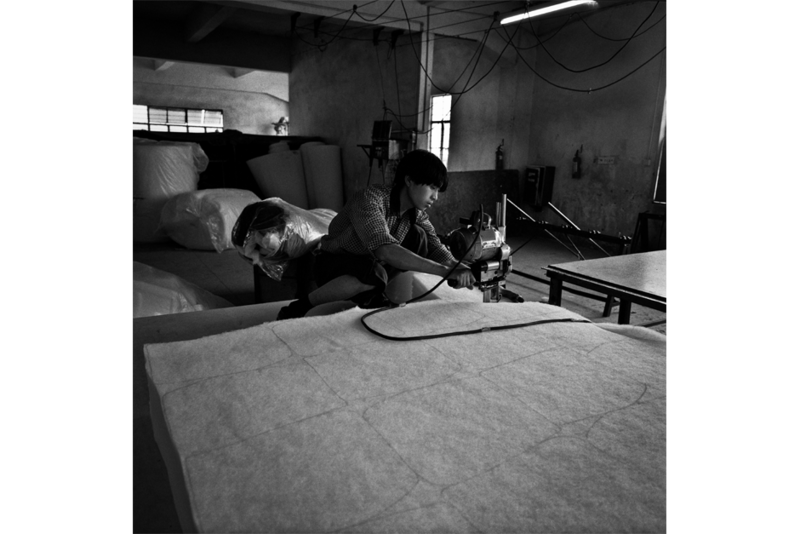 Fabric is cut for stroller linings on the second floor of the factory. 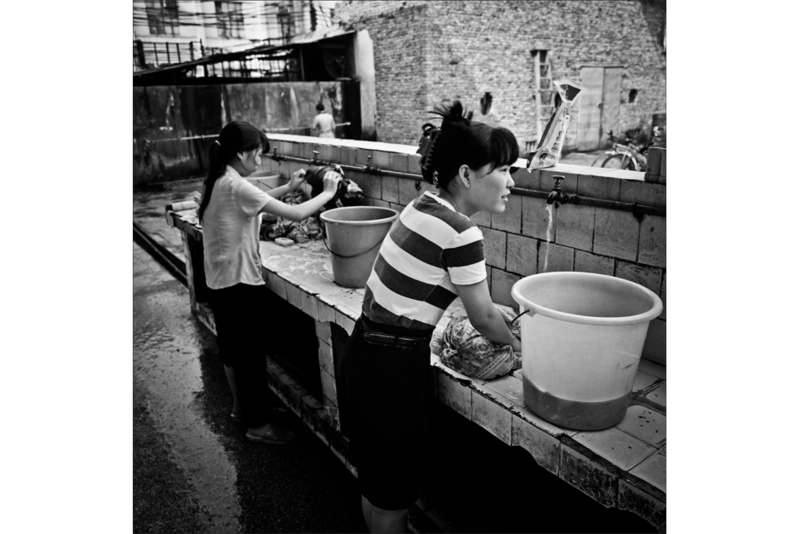 Laundry station on the factory’s premises. Checking inner tubes for leaks and repair. Metal pipes are bent to specifications. 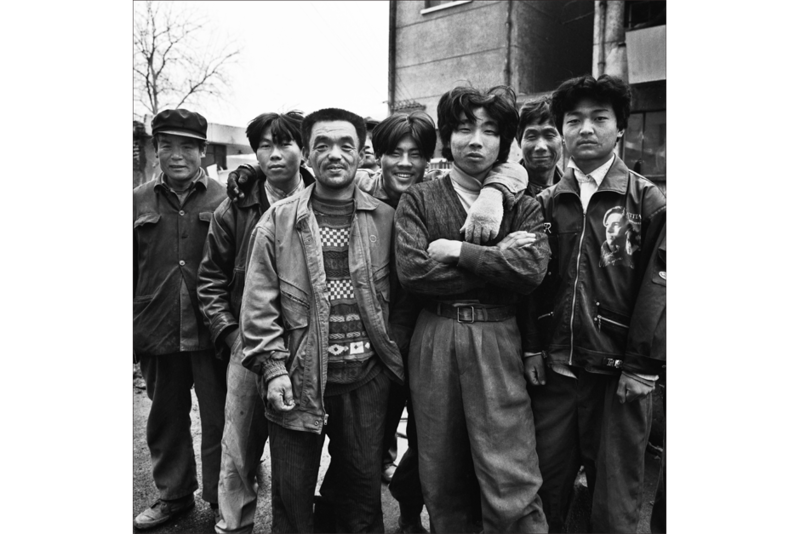 A group photo of factory workers. 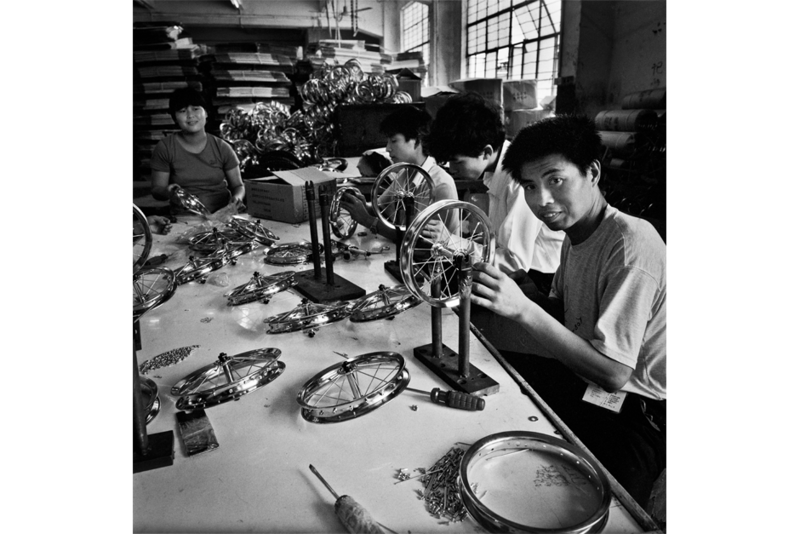 In 1999, photographer Willem Wernsen spent ten days in the small city of Kengzi, in Guangdong province, about 30 miles northeast of Shenzhen in an industrial zone. This was part of a longer, five-week trip, Wernsen’s first to the People’s Republic. 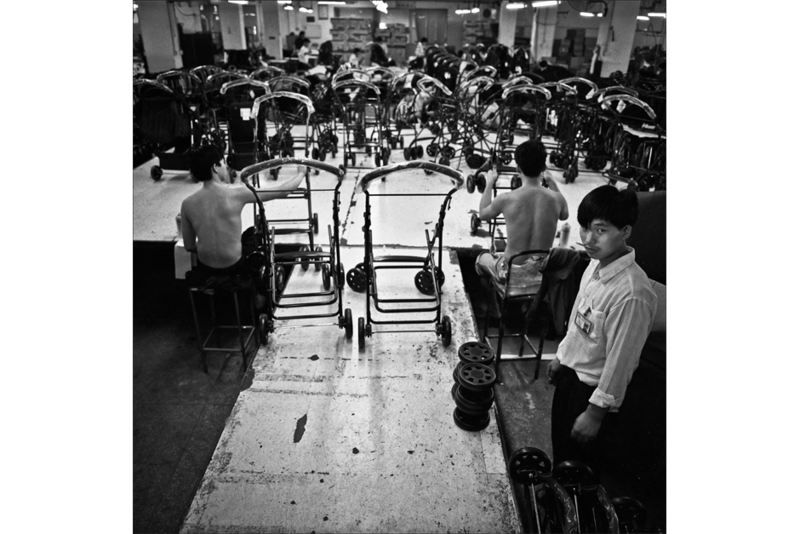 While in Kengzi, his interpreter brought him to a factory that made strollers. The designs and product orders came from AOK, a company in his native Holland. 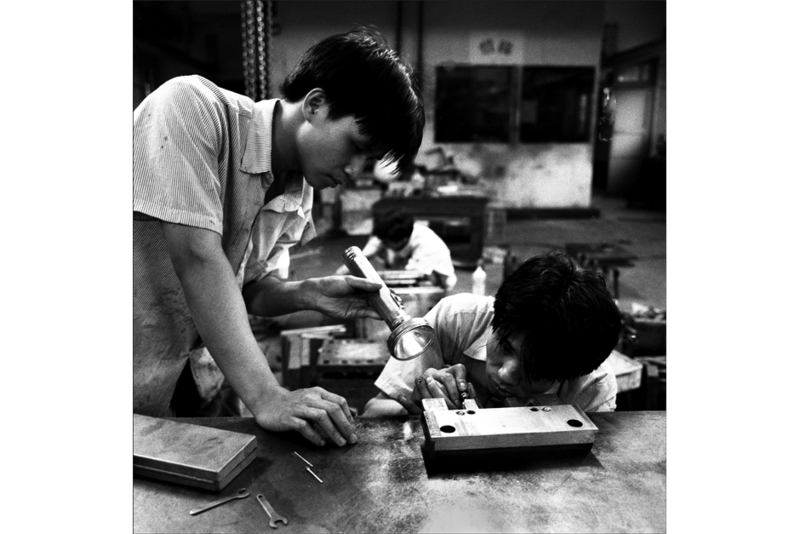 The factory was managed by a firm from Taiwan. 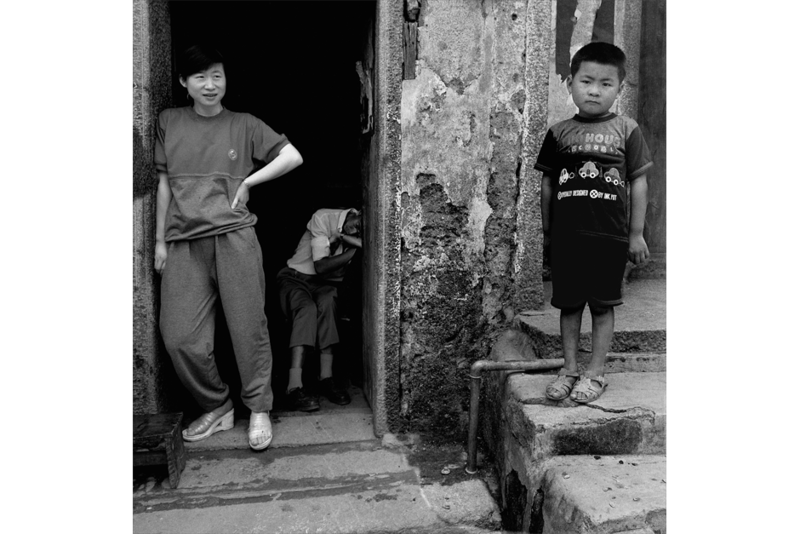 Wernsen shares his impressions from the trip below, and in his book, Behind the Great Wall (2014). 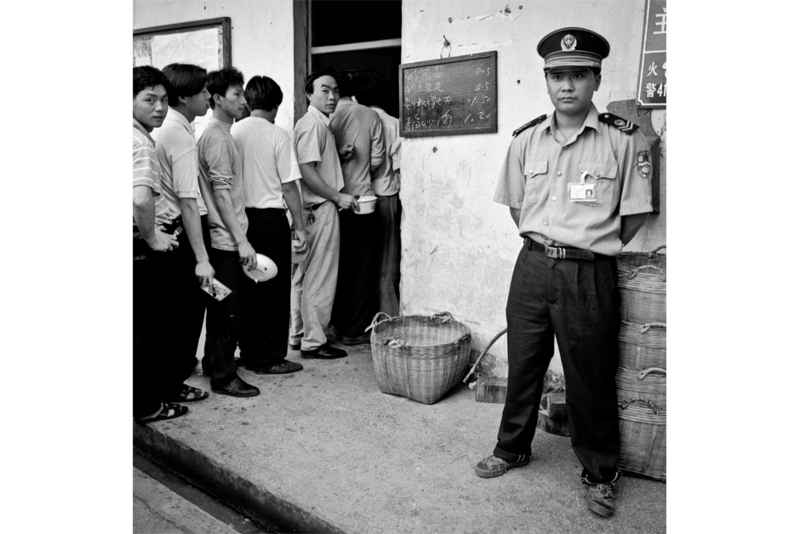 Each morning, a group of able-bodied people would gather at the gates of the factory looking for work, and factory security guards would turn many away. Department managers would select some to work in their particular departments, such as the sewing department or the assembly department. They would then begin a work day that often could last 12 hours. Many of the workers lived on-site in small concrete accommodations that could fit little more than a bunk bed and a table and chairs. Their meals were taken in a canteen where they would come with their own bowl and chopsticks to have a small meal that consisted of white rice, stir-fried vegetables, and a little meat. The managers ate separately. 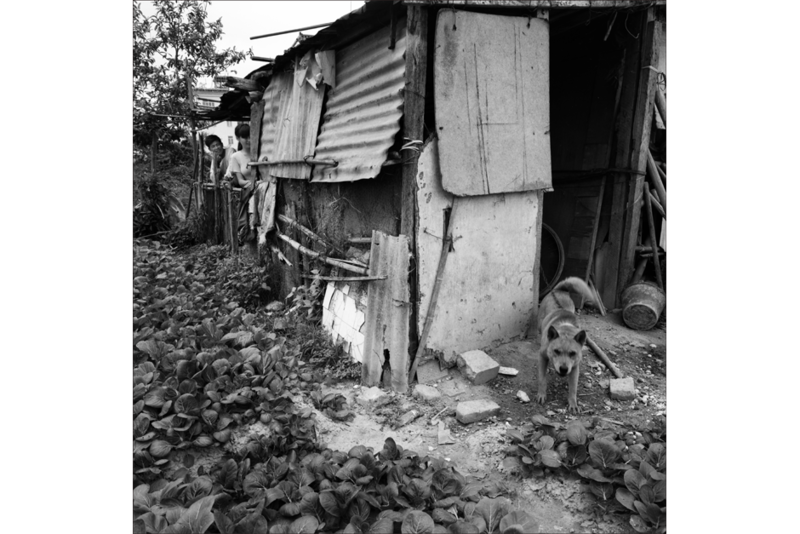 Others lived in flimsily constructed homes made of corrugated roofing material on land adjacent to the grounds. 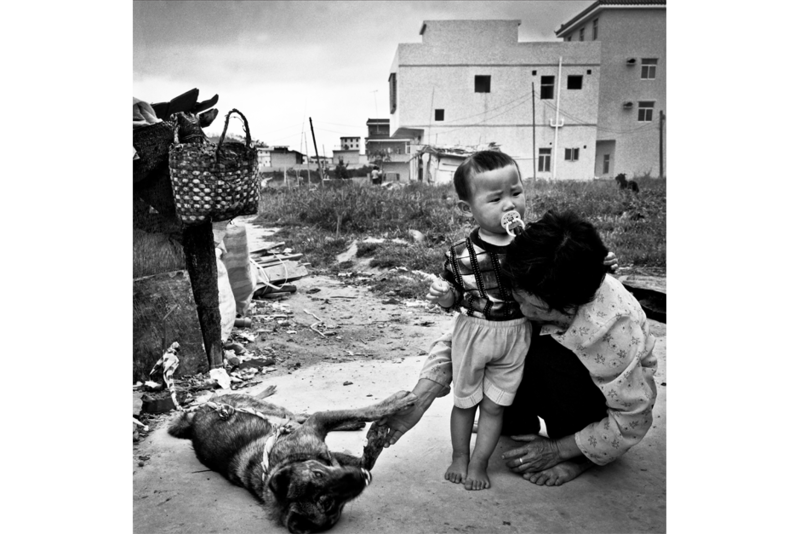 They had the luxury of owning a private piece of land where they could tend their own gardens. Many grew cabbage. 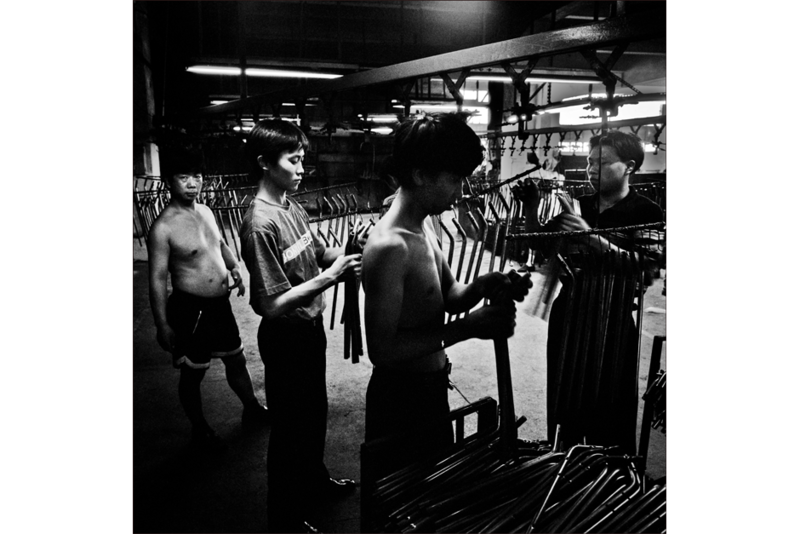 About six hundred people worked at this factory, and during my time there I became friendly with a few of them. They were open to my questions and my camera was no objection. After all these years, I still think of them regularly and wonder what happened to them. Compared to what I was used to seeing in Holland, the factory was very outdated. 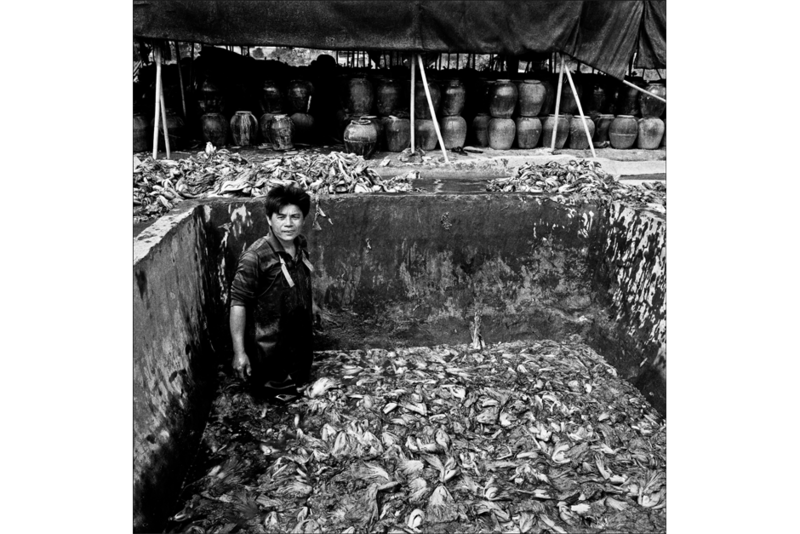 The working conditions seemed abysmal to me. Metal work and woodworking were located in separate sheds. Electroplating, spraying, and assembly occurred in a large space on the ground floor. On the second floor was where all of the cutting and sewing was done. Administration and the managers’ offices were located elsewhere. I stayed in a guarded apartment building just outside the entrance gate that was intended for foreign visitors. It was where the principals of the company would stay when they arrived from the Netherlands. Judging from what I saw in Kengzi, the price the strollers sold for was absolutely out of proportion with the small amount the workers were paid to make them.